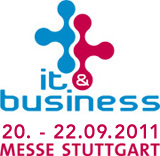 IT & Business is a annual trade fair for software, infrastructure and IT services industry. The event will offer a perfect platform for IT and business professionals to meet and exchange their new ideas under one roof at Messe Stuttgart. 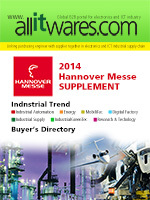 The exhibition is being organized by Landesmesse Stuttgart GmbH. Profile for exhibit includes General business software, Special enterprise software, IT enabled business processes, System-Integration System Integration, Infrastructure, Services.